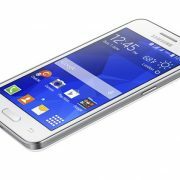 The type of the widget that you choose for your Android home screen home screen can show your personality at a glance. For example, if you are a music fan, you may build a music app widget, that allows you to play, pause, or skip the music tracks easily from the home screen without opening the actual music app. If you are a typical person concerned about the time and weather like me, you will need the best weather and clock widgets to customize your home screen. When I looked for weather apps, I was focusing on its accuracy and its widget design. 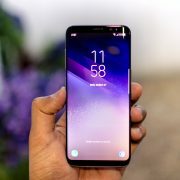 There’re 7 best free weather apps for Android with widgets that I want to share with you, and hope you will find the best one, according to your style. Weather and Clock widget provide you the accurate information about the current weather in your place and your favorite cities on the real-time basis. If you are a kind of person who needs to travel a lot, you can locate the city that you are going to visit quickly and the app will give you the information about the current weather condition, humidity, pressure, UV index, and wind speed on hourly, 5-day, and even 10-day with precipitation. Weather and Clock Widget allows you to change your widget style, text color, and font. They also come with different widget sizes, so you can adjust it to your style and the screen size. There’re 2×1, 4×1, 4×2, and 4×3 of widget sizes for normal screens, and 5×1, 5×2, and 5×3 for large screens and tablets, so you don’t have to worry if it’s not fit to your Android home screen. They have another interesting feature that allows you to share the weather and location information with your friends. You don’t have to worry about their accuracy because they cooperate with AccuWeather to provide you a professional and accurate weather service for more than 200.000 locations in the world. Besides the weather prediction, you will also get the other information, such as sunrise and sunset time, the chance of precipitation, detail of the wind forecast, etc. How about the design? 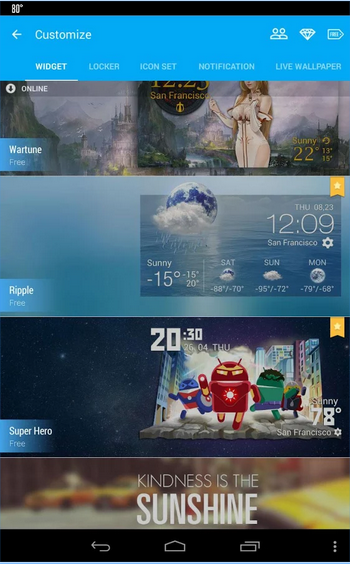 They realized that everyone has a different style, so they provide their widget with more than 1000 personalized themes (weather widgets and weather wallpapers), so you can choose the one you like. Go Weather Forecast is designed with smooth UI, easy to use, and with different widget sizes, so it can fit for all screens. If you love to customize your weather widget by changing its themes periodically, then you can choose Go Weather Forecast widget. They’re not only giving you the accurate weather information, but also various and beautiful personalized themes. This is one of the best weather apps for Android. As its name, this app has a fabulous animated wallpaper with live weather conditions on your home screen. With an innovative technology called Weather Live™ that implemented in the app, they can bring a live weather scene reflecting real-time conditions into your home screen. That’s so cool! The widget on Weather Live always includes a compass, that is rarely found in other weather applications. They have a beautiful transparent widget with different shapes: circular, rectangular, or square. Weather Live will give you information about the weather with common measurement units that you can choose, such as Celsius or Fahrenheit for Temperature, and Kilometers per hour or meters per second for wind speed. 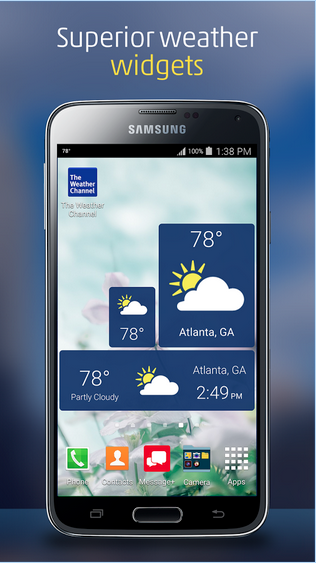 If you are a fan of simple and beautiful design and details, then the Weather Live is fit for you. 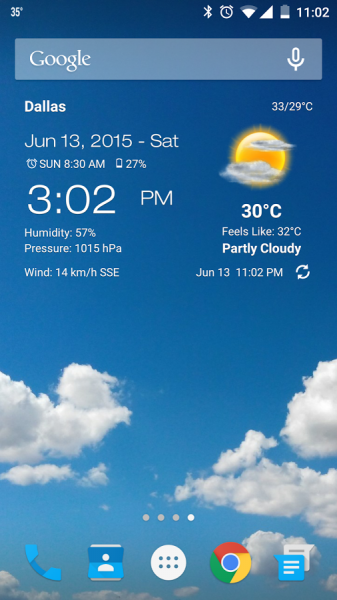 Amber Weather is a weather app for android with a full customization and personal appearance. They provide widgets with various styles and themes including 3D weather, transparent, cartoon clock weather, and special weather clock widgets made for special games. The other things that you can choose are the weather clocks, weather icons, and even a different font for the widget on your home screen. Most of them are free, especially the weather clock. By adopting a material design, Amber Weather is seen clean and modern. What information will you get from them? Well, Amber Weather can automatically detect your location and give you the weather information hourly, 7-day weather forecast, and so on. You can also add a new city to the list manually to check its weather. 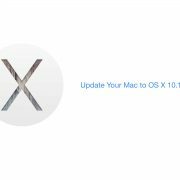 Besides that, they have automatic update interval: 15 minutes, 30 minutes, 1 hour, 3 hours, 6 hours, 12 hours, and 1 day. 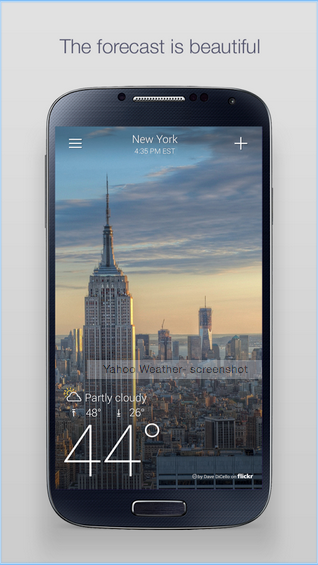 Many users agreed that 1Weather is the best weather app in terms of design. They support a Live weather background, dynamic photo background, or you can also customize the background by yourself. This weather app is good for those who love a simpler and beautiful design. The combination between a fabulous, minimalist, beautiful design and their details features makes them as one of the best weather apps for Android. They give you the information of current conditions and forecast in your location and up to 12 locations hourly and detail. If you are living in the U.S, you can get a Severe Alerts from the National Weather Service (NWS). 1Weather is the weather app that allows you to share the weather information with your friends via email and the social media. The Weather Channel app can give you a forecast in hourly basis, 3-hour, 10-day, and the weekend forecast in Celsius or Fahrenheit. It has a weather map with fast-loading radar maps that show you the past and future radar. Its maps layers can also show road or satellite views, water temperature, wind speeds, snow cover, and so on. The weather push alert feature will always send you alert notification of severe weather and warning issues. This app is another app with simple design and it is very easy to use. It has a nice and simple widget design, which is dedicated for those who love simplicity. 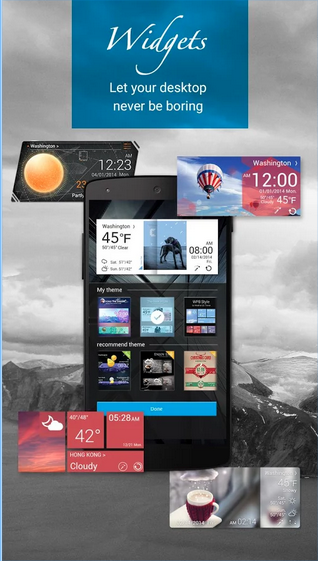 Their weather widget is available in 1×1, 2×2, 1×4, and 4×4 size. Many great words for Yahoo Weather app beside easy to use the app. Yahoo has worked very hard on this app to satisfy its users. 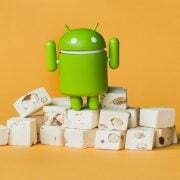 They have been updating and improving their features and performance. With the stunning Flickr photos, they make the forecast has a beautiful background that you can choose and match with your location. You can get the weather information as detailed as you want. Its favorite features allow you to browse interactive maps and track your favorite cities and destinations. As I have told you, Yahoo Weather is easy to use application. To get the details weather information, you can just tap the screen and scroll it down. If you want to add the cities, you can tap the plus sign. You can add up to 20 cities. To move between locations or cities, just swipe left-to-right. It’s very easy. By the way, you can also submit your photos to Yahoo Weather by joining #projectweather on Flickr. Interesting!